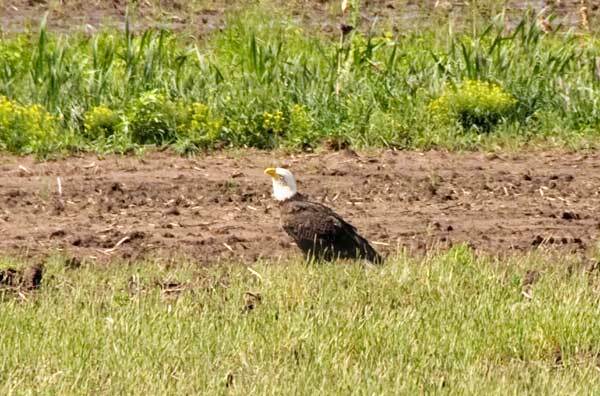 I’ve know of two Bald Eagle nesting spots in our area, and I had a few private landowners tell me of other locations along local rivers where eagles are frequently spotted. This is, however, the first time I’ve spotted one loitering in a plowed field. There I was, driving along the blacktop road, smack dab in the middle of farm country. 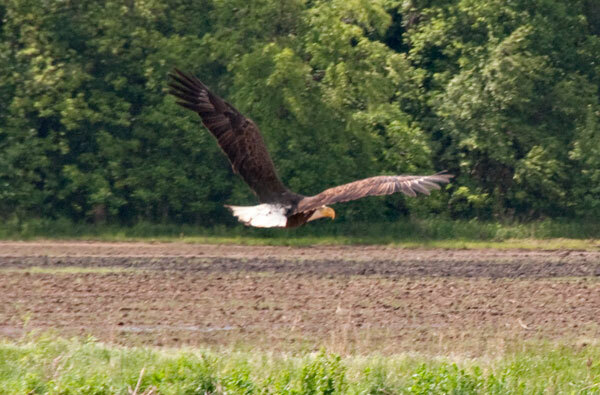 From the corner of my eye I spotted a big bird on the ground in a field. My brain immediately registered ‘eagle’, which might seem ridiculous given my speed and the rarity of such a sighting under those particular circumstances. 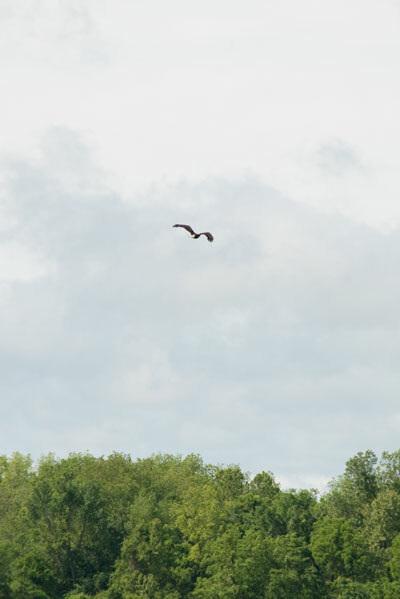 However, I got a lot of eagle spotting practice on trips to Alaska through the years, so I was sufficiently confident of that initial sense of recognition to risk a second look which was no help at all because by then there was a tree in the way, and tall grass, and weeds. All of this occurred, of course, in the space of mere seconds. 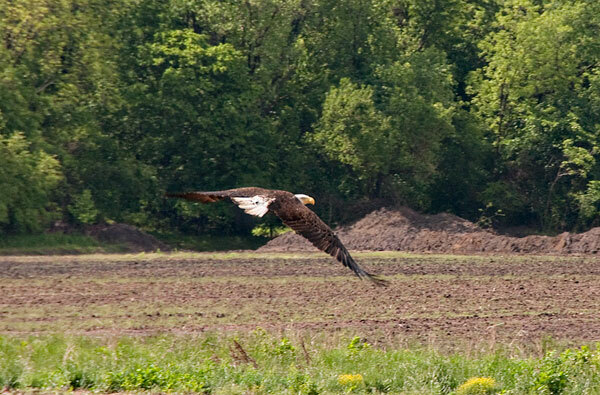 Then I braked, backed up, and whipped out the camera with the telephoto lens for a better look because . . . well, seriously, given the opportunity, wouldn’t you? My behavior apparently made the eagle nervous. It didn’t stick around. I didn’t stop to pose for the camera, either, which was darned inconsiderate of it. There I was, parked in the middle of the road with the hazard lights flashing, watching for traffic. I climbed onto the tool boxes on the back of my pickup truck so I could see over the weeds and grass and picked out the bird with the telephoto lense, fiddled with the focus and wished I’d thought to bring the really big telephoto lens with me that day. Given all the trouble I was going to, that bird might have been a bit more cooperative. I apologize for the poor quality of these photos. It was a rude, unsociable, and uncooperative eagle. I did my best. It wasn’t much.